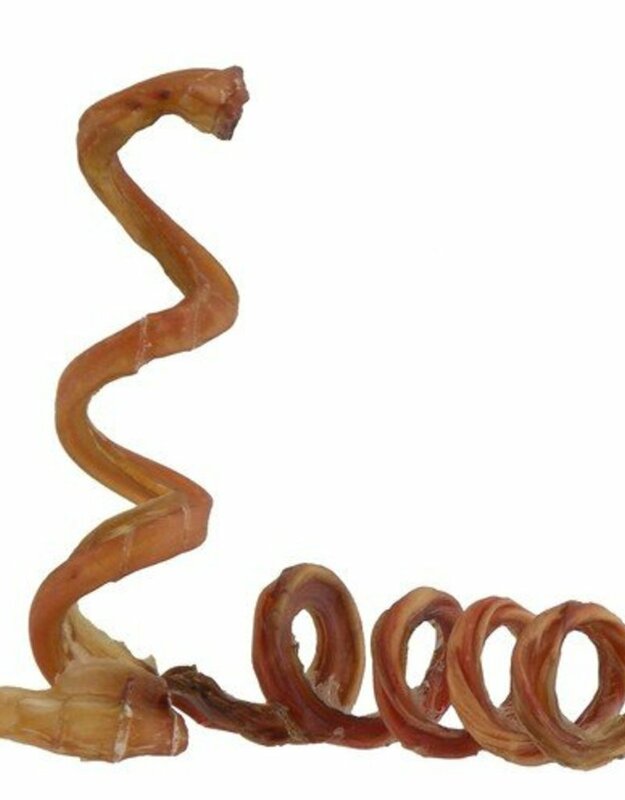 Made from 100% free-range South American beef pizzle, these curly bully springs are available in a 5-inch or 9-inch length. 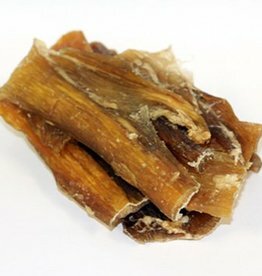 The spring shape not only provides stimulation for your dog, but also helps it to last a bit longer as well as naturally loosen tartar from the teeth and gums. 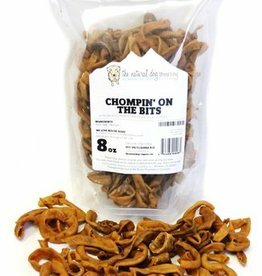 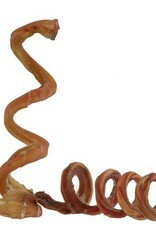 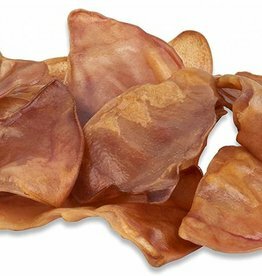 And due to their drying process, Natural Dog Company's bully springs are low odor.